1. What is the Current status of Skoda Octavia? Skoda introduced Octavia in the year 2001 followed by its facelift version in 2013. To up the sales, the car maker has now launched the facelift version of Octavia with new cosmetic changes and new features. 2. On which date, Skoda Octavia was launched in India? Skoda launched the Octavia in India on October 03rd, 2013. Now, to make Octavia more competitive Skoda has launched 2017 version of the sedan on 13th July 2017. 3. What are specifications of the engine equipped in Skoda Octavia? 4. Skoda Octavia is available only in petrol or in diesel as well? Skoda Octavia is available with both the fuels units – diesel and petrol. 5. What price range does Skoda Octavia carry? 6. Please inform about the on-road price of Skoda Octavia. 7. In which category Skoda Octavia falls? Skoda Octavia falls in D-segment sedan which is also known as premium sedan category in the Indian market. 8. What about Skoda Octavia’s transmission; just gets a manual or an auto gearbox is available too? Yes, Skoda Octavia is available with a manual as well as automatic transmission. 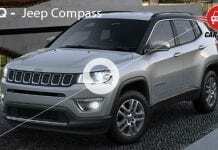 Both petrol and diesel trims are mated to a both 6-speed manual as well as 7-speed DSG automatic gearbox. 9. What is the acceleration and top speed of Skoda Octavia? The 2.0l litre TDI engine helps the car to attain 0-100km mark in just 12 seconds with the top speed of 216km/hr while 1.8l engine propels the vehicle to make to 0-100 km in 9.7 seconds with the top speed of 230km/hr. The 1.4l engine achieves the same in 10.9 seconds while offering 215km/hr as stop speed. 10. Skoda Octavia’s mileage figures on the grounds of ARAI-certified, highway and city roads? The new Skoda Octavia has been claimed to be the most fuel efficient Octavia of all time. 11. What is the ground clearance of Skoda Octavia? It has 155 mm of ground clearance in both petrol and diesel variants which is lowest among its competitors. 12. What is the boot size of Skoda Octavia is? The Skoda Octavia comes with a huge boot capacity of 590 litres, which can be further extended up to 1580 litres by folding the rear seatbacks. 13. Is Skoda Octavia a five-seater or seven-seater? Skoda Octavia is a five-seater sedan with sufficient amount of in-cabin space. 14. What is Skoda Octavia’s tyres size? 15. Can I get the brief listing of common & unique interior features of Skoda Octavia? Skoda Octavia is an extremely comfortable and feature rich car than its predecessor as it is available with bigger 8-inch touchscreen system with Android auto, Apple car play, Smartphone integration and smartlink interface. It also features steering mounted control for Audio controls and telephony, 12-way electrically adjustable driver’s seat with three programmable memory functions, height adjustment for front seat occupant, lumbar support adjustment for driver, front and rear seat armrests, automatic air conditioning with electronic regulation of cabin temperature, rear AC vents, Dual-zone climatronic and leather upholstery to name a few. 16. Cruise control is available or not? Yes, New Skoda Octavia has cruise control available in the top variants. 17. Inform about the general safety features available in Skoda Octavia. The Skoda Octavia comes with an array of safety features including SRS front dual airbags (for driver and passenger) in all the variants. Side airbags at the front as well as curtain airbags at front and rear are also available in its top end variants in both petrol and diesel fuel trims. Skoda Octavia also gets Anti-lock Braking System (ABS) with Electrical Brake force Distribution (EBD) & Hydraulic Brake Assist (HBA). The car also get Halogen headlights with manual leveling, hands-free parking system, Adaptive Front light System (AFS), Light Assistant – automatic headlight system with light sensor, Front & Rear Fog Lamps, Electronic Stability Control (ESC), Multi collision braking (MKB), Tyre Pressure Monitoring (TPM), Seatbelt pre-tensioners for front seats, Height-adjustable three-point seatbelts at front and rear, Height adjustable head restraints at front and rear, and Front & Rear Parking Sensors etc. 18. Which suspension system Skoda Octavia is coupled with? The 1.8L Elegance variant comes equipped with a multi-element axle, one longitudinal and three transverse links with torsion stabiliser in the rear wheel. 19. How many colours options Skoda Octavia get? The Skoda Octavia is available in 4 sparkling colours- magic black metallic, Quartz grey metallic, brilliant silver metallic and candy white. 20. Which are the other alternatives of Skoda Octavia in car market? It takes on the likes of Hyundai Elantra, Toyota Corolla Altis, Chevrolet Cruze, and Volkswagen Jetta in the D-Segment. 21. What is Skoda Octavia’s estimated maintenance/ repair cost?